Ella Fitzgerald Biography Mini-Unit - Look! 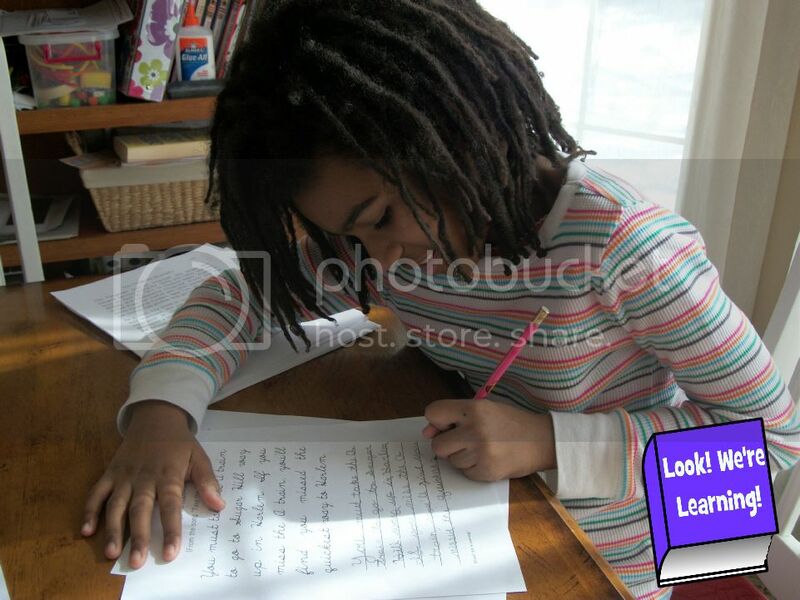 We're Learning! Happy Friday! We’re wrapping up this week with another entry in our Living History series. You might remember that we were supposed to talk about Ella Fitzgerald in our Living History unit last month. Well, Finals Week happened and work happened and, well….better late than never, right? 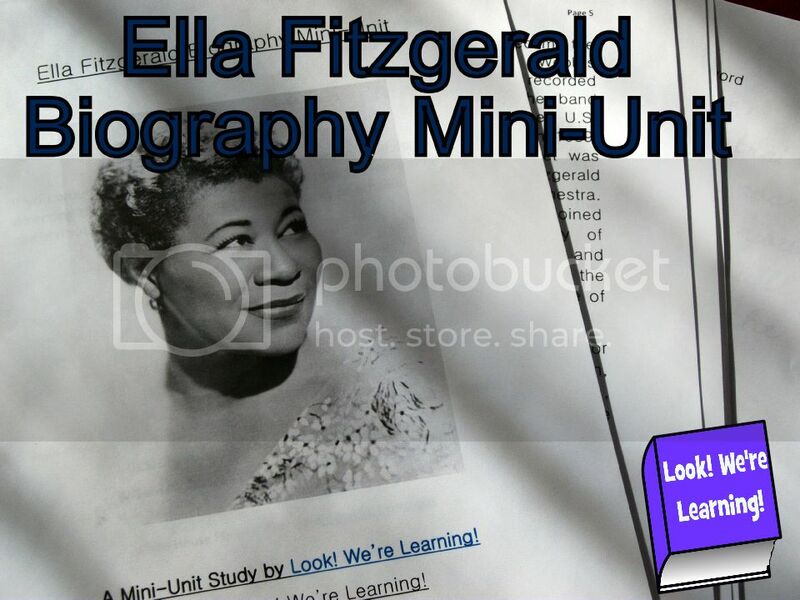 We started by covering our mini-unit study about Ella Fitzgerald’s life and career. She had a very difficult childhood, but she still managed to make great music. What was especially interesting to me was the fact that Ella didn’t even realize that she was such a great singer. Her real love was dancing. But when she went to audition at the Apollo Theatre, she got intimidated by her dancing competition, so she sang instead. That makes me wonder how many people have hidden talents they don’t even realize. 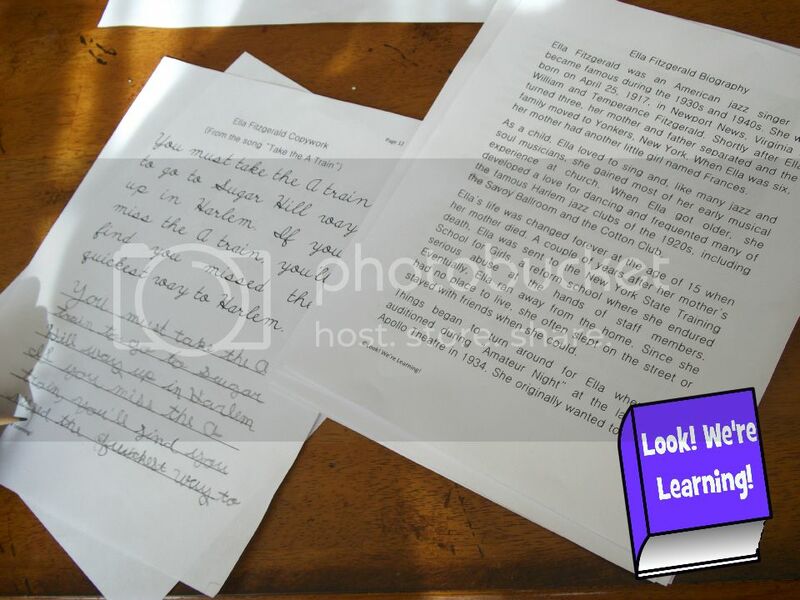 In the mini-unit, there is a short Ella Fitzgerald biography, along with a crossword puzzle, review questions, and copywork from the song “Take the A Train” – a song that Ella recorded. We also spent some time watching some of Ella’s classic performances, including this incredible video of her singing and scatting “It Don’t Mean a Thing”. 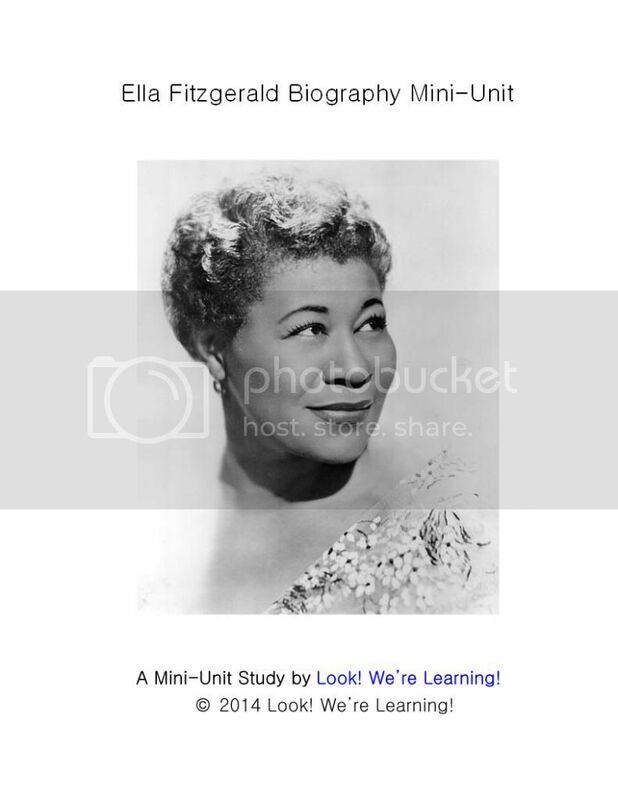 To grab this Ella Fitzgerald Biography Mini-Unit for yourself, just click the image or link below! A lesson plan/unit on Ella Fitzgerald… I had to check this sight out! Cool! !